Leveling up your character is a familiar process in all RPG's and The Division is no different. Everything you do in the game gives you experience whether it's killing an enemy, finding intel, completing a mission etc. However, those who want to level up quickly should take note of the farming strategies in this guide. Farming is a quick way to gain XP and is particularly useful for players that have a limited amount of game time or those who want to access the best weapons and gear as fast as possible. As you probably know, the best gear is locked behind levels (rank) and unless you meet or exceed those levels you can't even use the gear. Completing missions is a solid way to increase rank quickly and reliably. Completing missions will reward you with a large amount of XP which scales depending on the mission difficulty. Not only do you gain XP but you'll also be rewarded with credits which can be used to buy new equipment and weapons, both of which are essential for a reliable farming later. Regarding progression, it's also in your interest to complete as many missions as possible to unlock new Base of Operations wings, skills etc. It's also a good idea to have several missions at your disposal to avoid boredom from farming the same one over and over again. 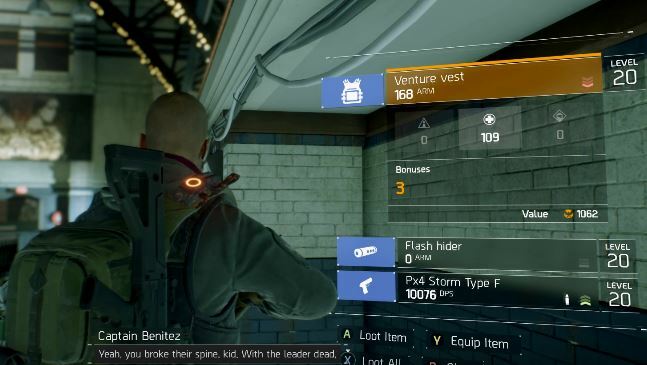 Before venturing into a mission, inspect the XP reward for that mission in addition to checking the bonus loot for attempting the mission on a harder difficulty. Keep an eye on the colour of the reward for each mission. Blue is better than white, purple better than blue and Orange is the best loot. In all cases, choosing a harder difficulty will reward you with better loot. The Base of Operations has several wings, each of which have a number of side missions to help you upgrade those wings and unlock new skills. One particular unlock is extremely valuable for XP gains and it comes as a reward from the first Security mission where you unlock the Situation Room. 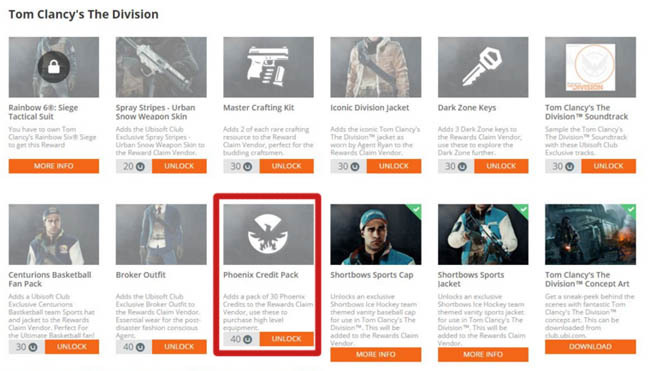 Called the "Experienced Agent Perk", this perk will give you 10% XP bonus for all activities. That doesn't sound like alot but overtime it's going to make a big difference, especially in an RPG marathon. If you're not familiar with farming, it's simply a case of generating a particular resource using a repeatable and economic strategy. In the case of gaming, we want to generate large amounts of XP in the shortest duration. RPG's by their very nature consume hours of our lives, so farming techniques save you time and energy. Destiny fans will be familiar with The Dark Beyond mission that helped players repeatedly abuse a spawn point. Basically, players would open the floodgate of enemies, rack up the XP kills, then purposely kill themselves and repeat the proces. Each rinse and repeat was a short duration resulting in high XP gain. This effective XP farming strategy, until patched, proved to be one of the fastest ways to level up in Destiny. 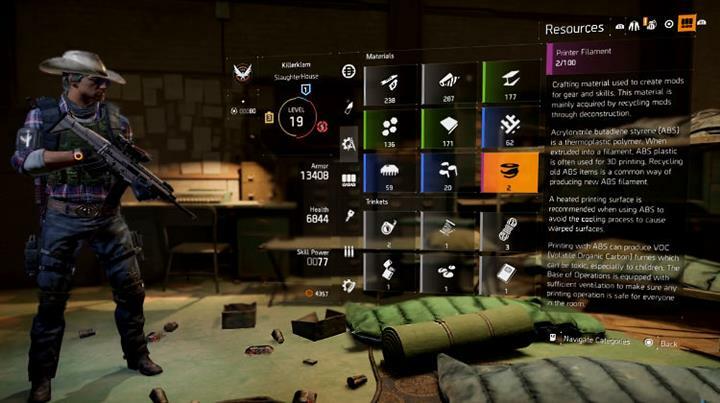 The Division has a very familiar process where players can replay missions as often as they like. Although you don't earn XP rewards for completing missions multiple times, you still gain XP for killing enemies during the mission and you still get loot from the Hard difficulty. Therefore, it's worth replaying missions with high numbers of enemies especially those with farmable spawn points. Roughly speaking you can calculate the effectiveness of a farming strategy based on the amount of XP gained per hour. Long missions with low enemy numbers are not good farming strategies whilst short, intense missions are the most sort after. Spawn points also play an important role. You need a spawn point that's very close to the onslaught of enemies to avoid the setup time from moving to a particular position. Any setup time is detrimental to the amount of XP you'll gain per hour. Lastly, although endgame content such as Raids contain the highest concentration of enemies, they are poor choices for XP gains simply because they offer no XP rewards for killing enemies. This was true in Destiny and The Division follows suit. At this point in time we only have a single mission to play in the Beta but a complete list of farmable missions will appear here once the game is released.